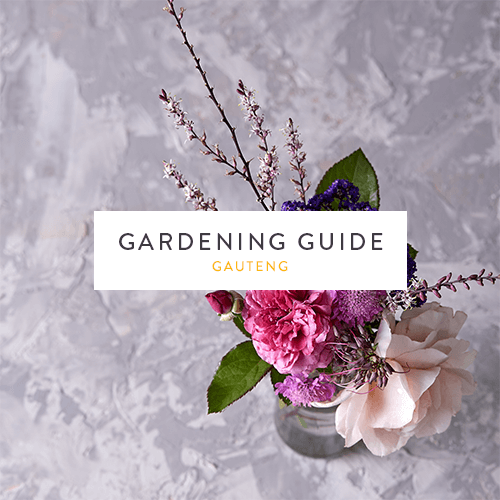 Get ready to celebrate the magic of December in style by bringing out the best in your summer garden with our Gauteng December gardening guide. A bright and cheerful poinsettia makes for the perfect Christmas table centrepiece, and will last well beyond the festive season if planted in the garden in a semi-shaded area. Read our tips on how to select and take care of your poinsettia this summer. Plant hanging baskets with zinnia, marigolds, portulaca, alyssum, impatiens, begonia, coleus, dahlias, and petunias. Sow fresh vegetables for season-long fresh supply such as peppers, tomatoes and carrots. Grow herbs such as rosemary, thyme and chives that can be incorporated in roasts, turkey dishes and salads. Feed garden beds every six weeks with seaweed-rich and organic Atlantic Bio Ocean. Lawns require a 7:1:3 fertiliser such as Atlantic Bio Ocean or Wonder Lawn and Leaf. The latter is chemical-based and will provide faster results, but requires watering three times or more a week to prevent burn. English gardens in full bloom should be fed with a 3:1:5 fertiliser. A good option is Wonder Fruit and Flower or the organic Atlantic Fruit and Flower, which is endorsed by the Rose Society of South Africa. You can also implement budget-friendly, organic pest busters such as a spray of canola oil or catnip. Create evening ambience by adding solar lights to pathways, trees and feature plants. Fairy lights around patio pot plants and hanging baskets will also add that sparkle to your festive season. Consider livening up a dull area under a tree by planting LM Berea lawn (Dactyloctenium Australe). Plant coleus, impatiens and lavender to bring colour to garden beds. Move plants in pots and hanging baskets out of the direct sun. Mow your lawn and water it well. Postpone feeding your lawn until you return. Pack all gardening tools and outdoor furniture in a safe location.